Worcester Historical Museum has been a part of this community for 144 years – collecting, interpreting and sharing the stories and artifacts that say who we are, where we came from, and where we are headed next. As the keepers of Worcester’s shared history, everyone has a piece of the story. Without you, the Worcester story is not complete. Help set the course for sharing Worcester’s history – yesterday, today and tomorrow. 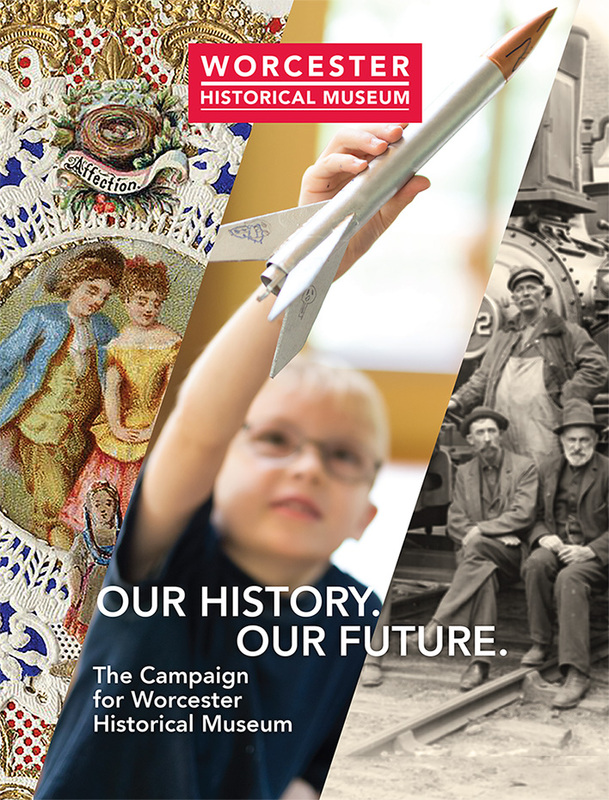 The Campaign for Worcester Historical Museum has ambitious current goals. In addition to capital and endowment needs, your support will fund current projects. For example, we need your assistance to help us recreate our galleries to be more engaging for all ages, improve access to our building, and continue the ongoing digitization of our collections to provide greater access to Worcester’s stories. All this and more, while attracting storytellers, interpreters and educators to keep us vibrant for the next 144 years. In addition to these gift options, WHM’s executive director and development staff are always available to work with you to create specialized opportunities for personally-meaningful recognition. Named Endowment Funds in support of museum professionals will ensure that Worcester Historical Museum continues to attract and retain the best leadership and talent in the museum field – in perpetuity. For example, named endowed positions may be created with gifts or pledges starting at $1,000,000. Similar endowed funds from $10,000 to $500,000 will secure future programs and exhibitions thus ensuring the Museum’s unique role as the keepers of Worcester’s history. Call us at 508-753-8278 to explore other options and naming opportunities. Please consider how you can help extend our reach and preserve your stories. With your participation, Worcester’s history will be accessible for future generations. Join us on May 9th to be part of this exciting adventure in your history, our history.